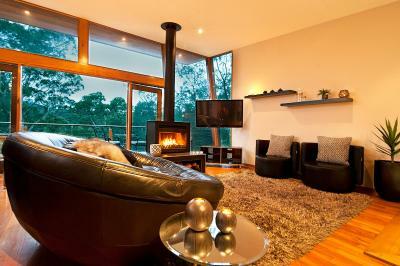 Lock in a great price for Kudos Villas and Retreats - Hepburn Springs – rated 8.9 by recent guests! The massive spa-bath inside and the outdoor stone tub and sauna were amazing. I also loved the indoor waterwall. The complimentary wine was a lovely touch too. 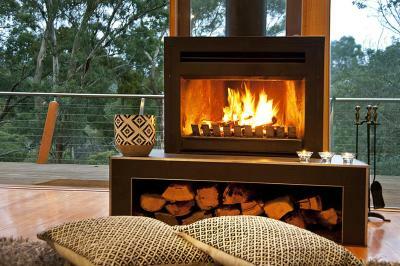 We had a wonderful trip away that was so peaceful, loved the spa, couch and wood fire. The breakfast was fantastic and we will be recommending the blue bean café to everyone. the staff there were lovely and meal was define. The view from our room overlooking the bush was so peaceful. The spa was fabulous and the bed so comfy. It was a perfect retreat away from our busy lives. The jam with the local loft of bread was very nice. i enjoy the bottle of wine. The whole place was lovely, the sofa couch and the spa were outstanding, the outside areas were lovely. Beds were comfy as! Rooms looked incredible and I was so extremely happy with the entire stay. Kudos Villas and Retreats - Hepburn Springs This rating is a reflection of how the property compares to the industry standard when it comes to price, facilities and services available. It's based on a self-evaluation by the property. Use this rating to help choose your stay! Kudos Villas and Retreats - Hepburn Springs is 0.6 mi from Daylesford, and a 5-minute drive from Daylesford Railway Station. This luxurious 5-star property offers self-contained accommodations with an open fireplace, bush views and a private bathroom with a spa bath. Featuring a variety of themes, each stylishly designed room is fitted with a flat-screen TV, a DVD player and an iPod dock. 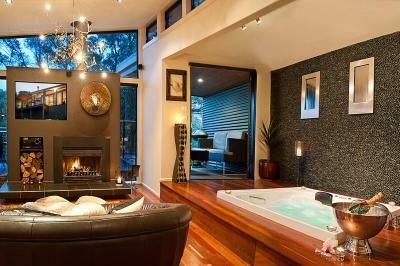 All rooms feature a large living area with a hot tub. The attached kitchen comes with a fridge, a microwave and kitchenware. 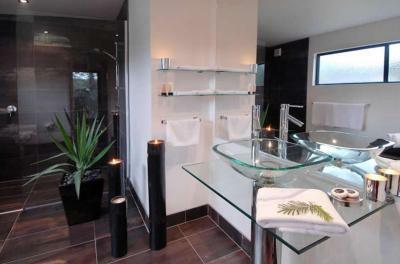 The property provides guests with a Kudos Spa gift pack, which includes toiletries, chocolates and welcome drinks. Barbecue facilities can be found on site. Hepburn Springs Kudos is a 5-minute drive from Hepburn Mineral Springs Reserve and the Hepburn Springs Golf Club. It is within a 10-minute drive of popular vineyards, such as the Ellender Estate Winery and the Passing Clouds. Free parking is provided on site. This is our guests' favorite part of Hepburn Springs, according to independent reviews. 뀐 Located in the top-rated area in Hepburn Springs, this property has an excellent location score of 9.0! 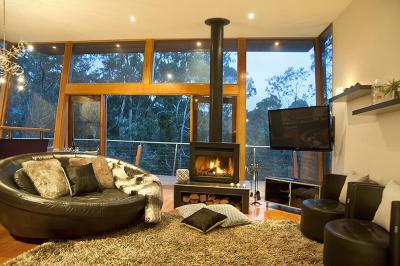 When would you like to stay at Kudos Villas and Retreats - Hepburn Springs? This villa features a lounge area with an open fireplace, a hot tub, a flat-screen TV and a DVD player. 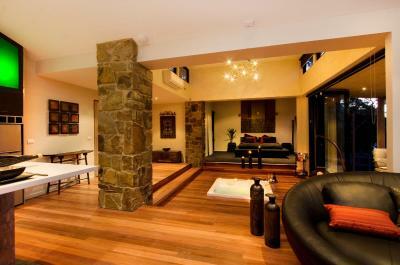 This villa features a kitchen and a lounge area with an open fireplace, a hot tub, a flat-screen TV and a DVD player. Large villa comes with a hot tub in the living room. Features a private outdoor bathroom with a large stone soaking tub and sauna facilities. Comes with a kitchen with a microwave and a dishwasher. Large villa comes with a hot tub in the living room. 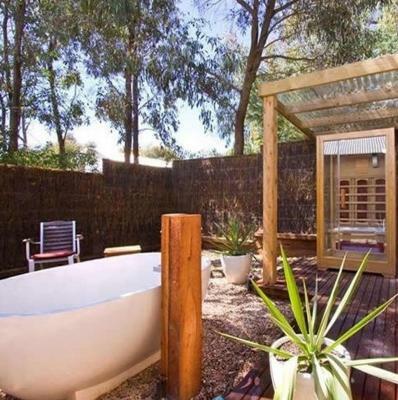 Features a private outdoor bathroom with a large stone soaking tub and sauna facilities. Comes with a kitchen with a microwave and a dishwasher. Has a spacious balcony with patio furniture. Villa features modern furnishings. Features a seating room with a large hot tub, and a large flat-screen TV with a DVD player. Comes with a kitchen with a microwave and a dishwasher. 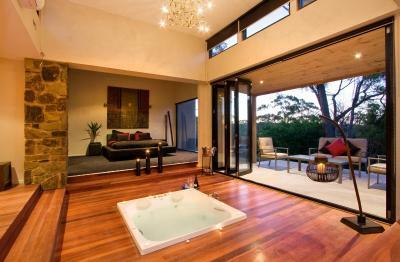 Kudos Villas takes Luxury Spa accommodation to a new level. 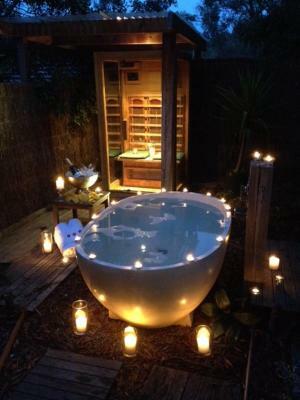 Designed as the ultimate private retreat for couples. 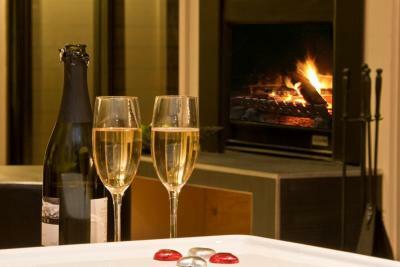 Kudos offers 9 one bedroom self-contained villas offering a spa and open fireplace in each villa. Kudos Villas specialise in luxury and romantic getaways. 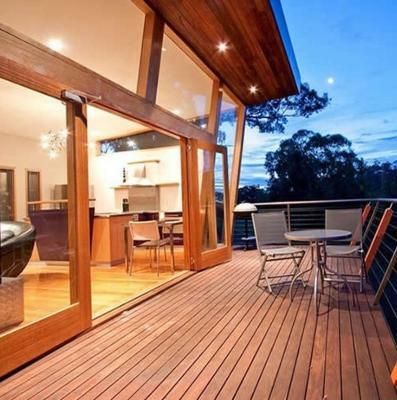 This peaceful Hepburn Springs accommodation is only a few minutes drive from Daylesford. 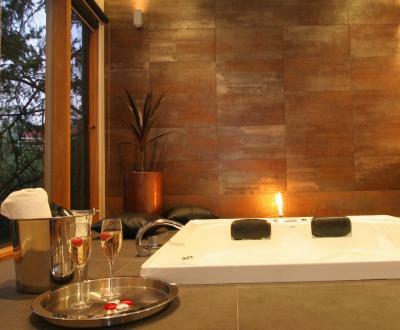 Luxury spa villas are the perfect way to rejuvenate and rest. House Rules Kudos Villas and Retreats - Hepburn Springs takes special requests – add in the next step! Kudos Villas and Retreats - Hepburn Springs accepts these cards and reserves the right to temporarily hold an amount prior to arrival. Please note that Kudos Villas and Retreats has several locations and no reception. Please contact the property in advance for further details, using the contact details found on the booking confirmation. Please inform Kudos Villas and Retreats - Hepburn Springs of your expected arrival time in advance. You can use the Special Requests box when booking, or contact the property directly using the contact details in your confirmation. Very nice environment and facilities. If I had to say something, the only thing I have is that the outside could look a bit nicer and cleaned up more, but other than that it was perfect, thank you. There were a lot of flies in our room when we got there, it was quite annoying. For what we paid, the cleanliness of the room wasn’t up to scratch, it didn’t look very cared for! The light next to the spa was out, which ruined the effect for photos. But that’s very minor! Hahaha Also, the sink was clogged, the people before us may have shaved in it as when it would fill up, there would be hair that would come out. But again, not your fault at all! Property needed a bit of maintenance.